Linus Sandgren, FSF. Photo by Dale Robinette. c. Lionsgate. Linus Sandgren, FSF was cinematographer of Joy, the 2015 film written and directed by David O. Russell, starring Jennifer Lawrence, Robert De Niro and Bradley Cooper — about a divorced mother who invents the Miracle Mop, sells it on QVC, and becomes very rich. A year earlier, Linus shot The Hundred-Foot Journey, directed by Lasse Lasse Hallström, about an Indian family opening a restaurant in France across the street from a Michelin-starred establishment. But our story here is about the lenses Linus used. 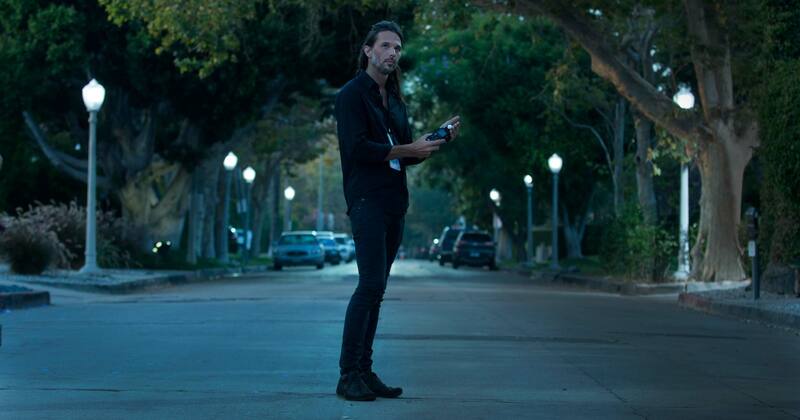 LINUS SANDGREN: I worked with CamTec Motion Picture Camera Rentals. Kavon Elhami and the crew there have been experimenting with vintage lenses for a long time. In our current digital era, we cinematographers need to find ways to make the image interesting. The trend to use vintage lenses has been booming. Having worked with CamTec before (“American Hustle” and others) I knew they have a large inventory of modern and vintage glass, and they have been refurbishing, re-coating, and reworking them. Obviously, a lot of the vintage lenses have technical issues, especially with the mechanics, focus scales, coatings, and so on. It was interesting to explore the possibility of re-coating a more modern set of lenses. We decided on using the ARRI-ZEISS Ultra Primes because they are known to be very solid technically and mechanically, and then finding an interesting coating that could work for the vintage look. CamTec had been experimenting with this concept for more than three years before we started to shoot “Joy” and I was very interested in that. They were un-coating certain elements and re-coating them with different formulas. Just in time for us to start prepping “Joy,” they had, I think, four sets. I tested them and I just fell in love with them because they were technically very reliable and they had much more interesting characteristics than the original, off-the-shelf Ultra Primes. Like any vintage lens, they have their own unique characteristics. CamTec provided us with two sets of re-coated Ultra Primes. As far back as the 1950s, Hollywood has been experimenting with formats and lenses. I think everyone should be encouraged to keep doing that. It’s sort of like AMG working with Mercedes to re-work existing cars into high-performance models. Take a proper lens and add a unique coating on it. It’s not the same as de-coating, which gives you a milky, soft effect. Re-coating gives the lens a special personality. How would you define the look of “Joy” and did you discuss this with the director in advance? 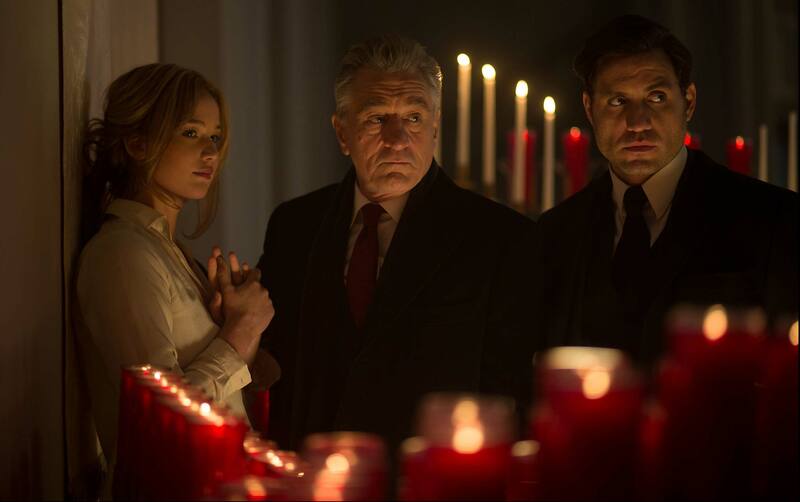 Jennifer Lawrence, Robert De Niro, and Edgar Ramirez in JOY. Photo c. 2015 Twentieth Century Fox Film Corp.
Did re-coating the Ultra Primes give you a little more diffusion effect on the faces? I feel they are ever so slightly softer without flares, and become a bit softer when the flares are introduced. We had contrasty lighting in this film and we pull-processed the negative. Therefore these lenses reduced some of that inherent sharpness and contrast. “American Hustle” was shot on film as well. We got a lot of inspiration from black and white filmmaking from the early days. We worked with silhouettes and we needed proper blacks. We wanted to have definition in the highlights. We shot almost entirely on 500 ASA film for both day and night. I pull-processed by 1 stop. I exposed at 250, so everything was overexposed and I pulled it back. We basically shot the entire film on Steadicam. We had two Steadicam operators. We usually used wider primes. “The Hundred-Foot Journey” was also film? It was part digital, and part film: 500 ASA pushed 1/2 stop. We used the Hawk V-Lite Vintage ’74 anamorphic lenses from Vantage in Paris. Those vintage lenses were very interesting and gave us quite a lot of effects with flares, especially from the highlights and small light bulbs. I did not want the film to look too precious, too clean or perfect. When you shoot on anamorphic with perfect lenses everything can get a little too polished looking. We actually shot with Alexa and Arricam cameras. In India and the south of France, it’s film. When he goes to Paris we used the Alexa because he’s in this modern world. We didn’t do much in post. We went with a very natural look. I could see the differences between film and digital. On film, there’s more color, richer blacks, and the highlights are retained. We could see more blue reflections in the hair. On the digital camera, the highlights were not defined—they were just white reflections. It’s interesting that you’re using these re-coated and vintage lenses on film, not just digital. It gives you different looks. To me it’s like having different options with the lighting as well as choices of the actual capture medium. If you shoot Alexa versus Red versus Sony, you get three different looks even though they are subtle differences. But they have three different looks. If you shoot film versus digital, there are many more choices of film stocks, labs, and processing. You also have pull and push processing to affect how the negative will look when you go to post. The same is true with lenses that can give you a lot of effects. Filters as well. I consider the lens to be like an artistic helper. Sure, it is easier to work with vintage lenses in the digital arena because you see exactly what happens on the monitor. But if you test them in advance and learn their characteristics, you can use them very effectively with either film or digital. For example, we used the K35s on “American Hustle.” The look is beautiful. They are sharp in the center, and focus falls off toward the edges. But they have a very short focus scale—about ¼ of a turn—so the focus pullers don’t like them so much. In summary, the reason for using the re-coated Ultra Primes was just to give you a period look? Yes, and a unique characteristic that the Ultra Primes wouldn’t have given me by themselves. The other option for me would have been to use another vintage lens like K35. But the re-coated Ultra Primes from CamTec were mechanically much better. It was basically like having vintage optics inside a technically modern housing, with better focus scales and better mechanics. But they still had a wonderful vintage look. It sounds like CamTec will be very busy in the future, taking perfectly good lenses, blasting the coatings off of them, and then re-coating? I think so, yes. It’s a little like when you take a new car and then you go to a shop that customizes it, works on the trim, upgrades the engine, and does things that give it a special characteristic. CamTec has always been customizing different lenses and experimenting with old vintage lenses. Same with Vantage, who make Hawk anamorphic and spherical lenses. They want to do more lenses that no one else has. They have that spirit. Peter Martin, co-owner of Vantage, told me that their idea was to make glass that no one else had, that didn’t exist, but people need. That’s their philosophy and experimental spirit. It’s an important way to distinguish one movie from another. It’s a combination of the glass, the film stock or digital characteristics, and how you light it. But one of the most important choices is the glass. You have to make a choice and the reason behind the choice should exist. There should be a reason why you choose a lens. I think the more variety we have with them the better in general. Lenses have always been reworked, but never to this degree? It’s probably a need people see now. Especially with digital cameras, because it’s hard to actually distinguish the looks. Everything is shot on pretty much the same cameras all the time. It’s like everyone is shooting on the same 500 ASA film stock and using the same lab. So what else can you do? You can light it differently and you can filter it differently. But the glass is a big, huge part of it.